Snaps on Baby Jacket can be detached! The snaps can detach, posing a choking hazard. 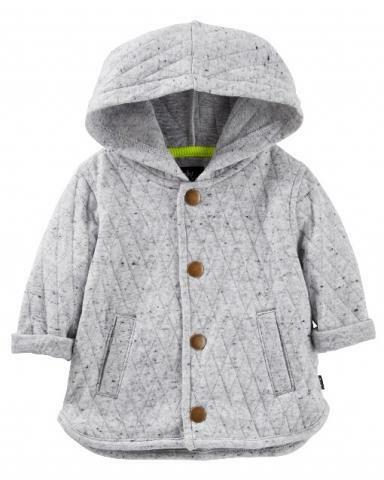 Consumers should immediately take the recalled jackets away from children and return them to any OshKosh or Carter’s store or contact seller for a full refund in the form of a $34 gift card (for an infant size) or $36 gift card (for a toddler size). OshKosh received three reports of a snap detaching, including one report of a child putting a detached snap in her mouth. About 38,000 (in addition, about 5,000 were sold in Canada).